Need an MOT test on your vehicle? Look no further than The Garage Shefford. The Garage Shefford is pleased to be able to test many different vehicle types, including classes 4, 5L and 7: cars, vans, minibuses and motorhomes. Passed. 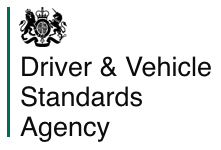 That’s great, the results will be sent to VOSA the same day and will be updated onto the DVLA database overnight so you can get your tax online within 24 hours of passing! Failed the MOT. Unfortunately some of our customer’s vehicles do fail their MOT test, but don’t worry! We will do our best to keep any repair costs to a minimum and if you do choose to have your repair completed by us we will carry out the retest straight away.